DMC is a software and consultancy company in Munich, with seven locations and around 200 employees. They concentrate on field service management (FSM), enterprise operational intelligence (EOI) and automotive consignment processes. Parts for vehicles are now being created in 3D printers. This is going to boom in the coming years, and the global production and distribution of big printers has begun. The mutation of production and processes to intelligent 3D printing companies is coming. They have low labor costs and low capital needs. Data security will become an issue as cars become data collecting systems. Human life and health will remain at the heart of driving. Intelligent predictive systems will influence your driving. Safety belts will be monitoring body functions. Cars will get emergency call systems to save human lives. Remote monitoring of the car will enable prompts from preventative maintenance. New battery cell technology is emerging to make electric vehicles more viable – some from the middle of next year. These technology changes will enable some new business models. The vehicle is becoming a company. 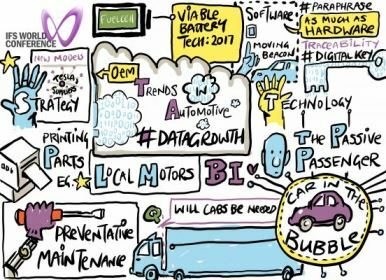 For example, SMART (Daimler AG) – Smartville in France does its logistics assembly, with Daimler finishing the process. Tesla is the first OEM for electric cars. In the distance, Apple is working on something in the car space. It might be more designed, more networked, but likely produced by someone else. Google is building a car system, too, which is designed for others to use. 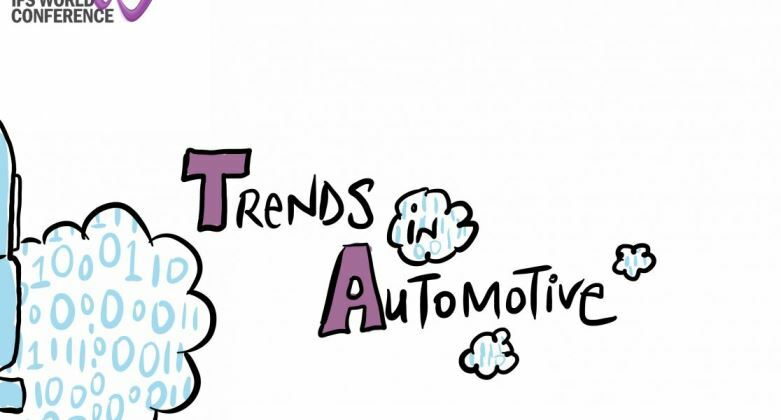 Digital disruption is affecting automotive units. We’re seeing a separation of hardware and software – and artificial intelligence. New production methods like 3D printing will create new parts. Apps and mobile service will support the car. Low-cost access strategies for cars are developing, like car sharing. Car customization has been growing, but we’ll see more buying of “off the shelf” models. That will continue. Production costs will drop through unique platform strategies. Traceability is an important issue in automotive parts, as part of the safety agenda. Right now, that’s barcodes, but in the new future, the car will be “aware” of the components within it. Modern keys already carry information about your car – the car itself will evolve into a data storage mechanism. German OEMs are investing heavily in China, spending more than the rest of the world put together. 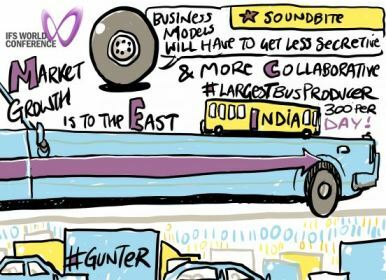 India is rapidly becoming the biggest bus producer in the world. It’s already producing over 300 a day. VW’s biggest production today is in Pune, India. Demographic changes, urbanization and technical progress are shaping how companies are investing. Learn more about IFS’s automotive ERP solutions. Interesting theme and great pictures. Absolutely great!